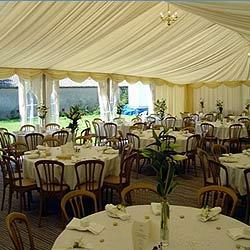 We offer marquee tent and traditional tents used for big and large gathering occasions. We offer Traditional Tents that are made using traditional materials & feature hand printed finish. A mix of eastern culture & european designs, these traditional tents when elegantly furnished cast a magical spell on the guests. We can also offer these in customized specifications. 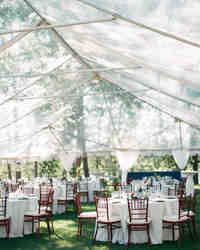 Marquee Tents offered by us are tents with two poles. It has two layers, the upper one acts as a water repellent (cotton canvas) and inner layer is made of printed cotton sheeting. These marquee tents are suitable for conferences, offices as well as for storage purposes. The wide range of dining tents offered by us provide an intimate setting option & even provide extra room for invited guests for purpose of dining. Keeping up with the theme of colonial opulence, these elegant dining tents also feature elegant dining furniture & sprung floors. 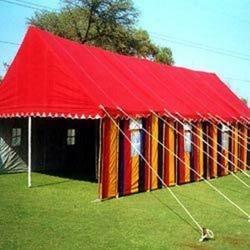 We have been offering a wide range of Raj Tents that are customized as per the specifications of our clients. 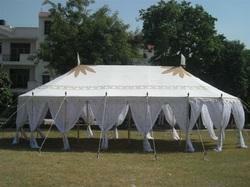 Spacious, light weighted and easy to carry, these raj tents are customized as per the specifications of our clients. We are experts in designing and assemble Frame Tents. These tents carry a royal and sophisticated look which enhance the beauty of gathering. The classic Frame Tents offered by us are advantageous for applications that need maximum usage of space available under tent top. This vinyl tent top is firmly secured to a tent frame & jointed together by steel fittings to provide them a stable finish. Our dining tents provide an intimate setting option and meet the requirements of extra room for guests for purpose of dinning. 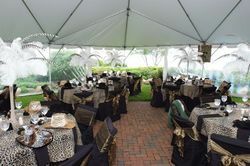 Keeping with colonial opulence theme, these elegant and stylish dining tents also feature elegant dining furniture. 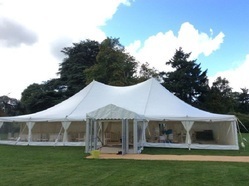 Looking for Marquee Tent ?